Three people in a stolen Toyota Prius were arrested Monday following a police pursuit that resulted in a temporary lockdown of an elementary school in College Area near San Diego State University. The chase began around 8:15 a.m. at Broadway and Park Boulevard in the East Village, San Diego police public-affairs Officer Billy Hernandez said. The Toyota driver led officers on a chase that went from the East Village onto Interstate 8 and continued into the College Area. During the 20- minute pursuit, two tires on the Toyota were badly damaged. 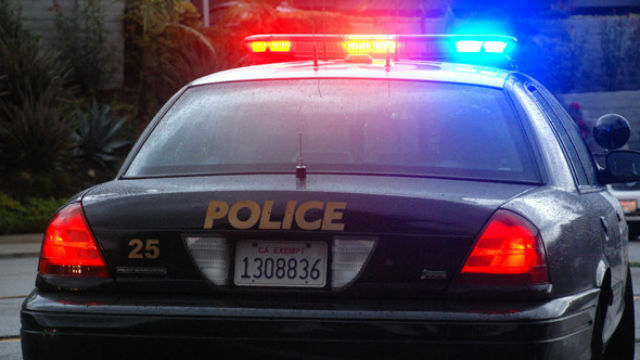 The driver stopped and fled on foot with the two passengers into a canyon near the 5400 block of Montezuma Road, Hernandez said. Hardy Elementary School, which is located nearby, was locked down on the first day of class as a precaution as police searched for the trio. SDSU, which also just started classes, was not placed on lockdown, but university police advised people to stay clear of the area. Officers located the suspects into custody shortly after 9 a.m. and took them into custody. Their names were not immediately released. The lockdown at Hardy Elementary was lifted around 9:15 a.m.